Breast reduction for black women is a popular procedure which can make life much better for ladies who are physically or emotionally hampered by overly large breasts. Breast reduction surgery is an invasive and complicated procedure, but can offer truly excellent results when performed by an expert surgeon. Operating on darkly pigmented skin can be an added difficulty, due to issues involving noticeable breast scarring and stretch marks. 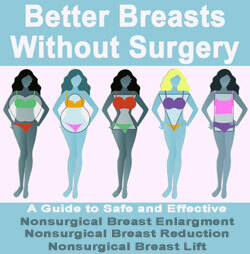 This essay provides some vital information for women of color who are considering undergoing breast reduction surgery. 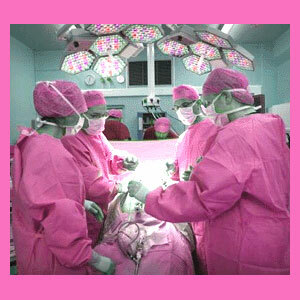 Breast reduction is used to decrease, re-shape and tone overly large, ptotic or pendulous breasts. Heavy breasts are especially prone to the effects of aging, gravity, childbirth and breastfeeding. Genetic factors also account for the progression of many undesirable breast changes. Some women love their large breasts, but suffer a variety of physical and psychological effects from them, especially as they get older. Back and shoulder pain are common symptoms of large breast size, as is irritation from bra straps. Postural problems can also result from very large breasts. It can become difficult to find clothes which fit well, especially if the design is tight or form fitting. Some women’s breasts are so large that they actually make her appear to lose her waist when dressed. Emotionally, women might feel many concerning issues, due to their proportionately oversized bust line. The most common psychoemotional conditions include poor body image, lack of confidence, self consciousness and sexual disinterest. There are many variations of the basic reduction procedure. The most common variables are the number and location of the incisions and the amount of breast tissue which might need to be removed or excised. Your individual circumstances will guide your surgeon in recommending the procedure which will offer you the very best results, with the least scarring possible. Make sure to discuss how noticeable scars, and especially keloids, can be prevented prior to undergoing any cosmetic surgery procedure. Remember that dark skin tones are more likely to develop visible scars than lighter skin. Black skin is also known for showing stretch marks. Although your skin is an added factor for a surgeon to consider, it will not prevent you from achieving the look you desire if you plan carefully. If you have done a thorough job in researching your procedure, you are likely to experience results which will meet or beat your expectations. This is especially true if you can find a surgeon who specializes in black plastic surgery. Those newer, firmer, more manageable breasts can be a reality. Remember, breast reduction is a personal choice and should always be performed to please the person who wants it most: you.